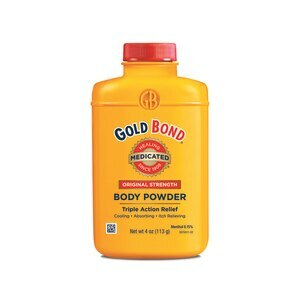 Triple Action Relief: Cooling; Absorbing; Itch relieving. Made in USA. Active Ingredients: Menthol (0.15%), Zinc Oxide (1.0%). Inactive Ingredients: Talc, Acacia, Eucalyptol, Methyl Salicylate, Salicylic Acid, Thymol, Zinc Stearate. Adults and Children 2 Years and Older: Apply freely up to 3 or 4 times daily. Under 2 Years: Ask a doctor. For best results dry skin thoroughly before applying. For external use only. When using this product avoid contact with eyes. Stop use and ask a doctor if condition worsens; symptoms do not get better within 7 days. Keep out of reach of children. In case of accidental ingestion, get medical help or contact a Poison Control Center right away.